Home / charts / Post Malone / Post Malone scores his first UK No. 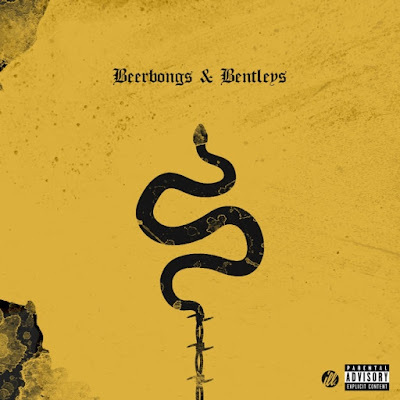 1 album with "beerbongs & bentleys"
Post Malone scores his first UK No. 1 album with "beerbongs & bentleys"
Post Malone scores his first UK No. 1 album with beerbongs & bentleys entering straight in at the top of the chart. Dropping to No. 2 we have The Greatest Showman's OST and debuting at No. 3 we have Anne-Marie's debut album, Speak Your Mind. Post Malone conquista o seu primeiro álbum #1 no Reino Unido com o seu mais recente trabalho, beerbongs & bentleys, a entrar diretamente para o topo da tabela de álbuns mais vendidos neste país! Ele derruba a banda sonora de The Greatest Showman para o #2 e a entrar no #3 temos Speak Your Mind, o álbum de estreia de Anne-Marie.